For many of us, coffee is a lifesaver. Unable to function without its caffeine-injecting properties, people worldwide have made coffee a prominent part of their daily routine – drinking it in the morning to wake up, in the afternoon for an extra jolt, and sometimes even at night as part of dessert. But what if making coffee a part of your daily routine also introduced another “constant” into your life – something not as pleasant? Recent studies are showing that coffee could in fact be linked to incontinence. Not only coffee, but caffeine from tea and carbonated drinks like soda, and even candy can all be inhibitors of incontinence. But with coffee specifically, two cups is all it takes on a daily basis to increase your likelihood of urinary incontinence. 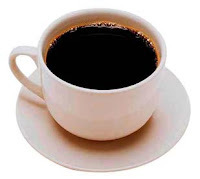 A recent article by Dr. Alayne D. Markland, professor at University of Alabama, (along with his colleagues) talks about the link between caffeine and incontinence in The Journal of Eurology online. The base of the study is formed around survey results from NHANES 2005-06 and 2007-08, which captured data from over 5,000 American men ages 20 and up. Those most likely to have moderate to severe urinary incontinence? Men who consumed over 234 mg per day of caffeine proved to be 72% more at risk of developing the symptom. Likewise, upping the intake over 392 mg each day causes men to be twice as likely to develop a leaky bladder. And to prove that it isn’t just the drinking of any liquid that can prove harmful in terms of incontinence, the total water intake among men was not at all linked to moderate to severe incontinence. With that said, the conclusion is drawn around the amount of caffeine that enters the system, and not necessarily just coffee consumed. So what does this mean? Aside from engaging in exercises to strengthen relevant muscles and looking to incontinence supplies for men to use when trying to guard against a leaky bladder, altering caffeine intake and monitoring the effects on the presence of incontinence could prove to be very useful in decreasing the incidence of the problem. About The CareGiver Partnership. The CareGiver Partnership helps caregivers and their loved ones with answers to their caregiving questions, including information about home health care products and supplies, from our Wisconsin-based team of Product Specialists who are all current or former caregivers. The company’s Web site provides the largest online library of resources on subjects most important to caregivers — from arthritis to assisted living, and Parkinson’s to prostate cancer — as well as access to more than 3,000 home care products for incontinence, skin care, mobility, home safety and daily living aids. The CareGiver Partnership was founded in 2004 by Lynn Wilson of Neenah, Wisc. Visit http://www.caregiverpartnership.com to learn more or contact us 1-800-985-1353.